Who is Doug Trumbull? And Why Is He Important to Theme Parks? If you've booked a flight to the moon of Endor on Disney's Star Tours or got zapped with a weapons-grade laser by Gru on Despicable Me Minion Mayhem at Universal's parks, you have Douglas Trumbull to thank. While he wasn't directly involved with either attraction, it was Trumbull who developed the concept and the technology for motion simulator rides that made them possible. He saw the entertainment potential in the commercial flight simulators used to train pilots and built the industry's first simulator ride. His groundbreaking invention ushered in a new era of media-based themed attractions at parks and other venues. Beyond simulator rides, Trumbull's abiding fascination with film and his quest to improve and exploit the techniques used to capture and play back moving images has led him on a journey to, as he says, "make content indistinguishable from reality." Along the way, he's racked up some mighty impressive movie credentials and developed some incredible technology that has far-reaching implications for theme parks and themed entertainment. Check out a Season Pass Podcast with Doug Trumbull, in which I participated. He talks extensively about his long career and his new Magi technology. Born in 1942 in Los Angeles, California, Trumbull was equally influenced by his father, an engineer and inveterate tinkerer, and his mother, an artist. They provided the ideal DNA and environment to nurture Trumbull's hybrid techno-art career path. He devoured science fiction novels as a youngster. Trumbull watched with great anticipation as Disneyland was being built and enjoyed visiting the park after it opened. He was especially intrigued by an early exhibit, The Art of Animation, and was captivated by the possibility of creating fantasy worlds. "Making paintings come alive and have them move around you was like heaven to me," he says. After taking some art courses at a community college, Trumbull's first job was at a film studio that produced technical animation for NASA. For one of his projects, he helped develop the NASA attraction, To the Moon and Beyond, for the 1964 New York World's Fair. It was filmed in Cinerama 360, an early wide-screen format, and projected onto a dome. Novelist Arthur C. Clarke and filmmaker Stanley Kubrick saw the attraction, and Kubrick hired the company Trumbull worked for to help design the special effects for his landmark science fiction film, 2001: A Space Odyssey. Trumbull talked himself into a job working directly for Kubrick and, in his mid-20s, ended up supervising the visual effects for 2001. He developed the innovative slit-scan photography used for the film's breathtaking Stargate Corridor sequence. Trumbull considers the late director a visionary and a mentor. "Working with Kubrick showed me that film could be a subjective experience -- that the audience could actually become part of the film," he says. "He was using every available technology for 2001, including Cinerama, giant wraparound screens, six-channel stereo sound -- whatever it took to send the audience off into space." Working with some of Hollywood's most influential directors, Trumbull designed the effects for some of their biggest films. His credits include Close Encounters of the Third Kind for Steven Spielberg, Blade Runner for Ridley Scott, and Star Trek: The Motion Picture and The Andromeda Strain for Robert Wise. He also produced and directed his own films, including Silent Running and Brainstorm. In 1972, Trumbull began a research and development partnership with Paramount Pictures to explore new and better filmmaking technology. He created Showscan, a process that displays movies at 60 frames per second instead of the conventional 24 frames per second. At a higher frame rate, problems such as blurring and strobing are reduced or eliminated, and images are crisper, clearer, and more "real." Focusing instead on special venues, Trumbull pursued his passion for breaking down the barriers between audiences and films. In 1974, while at Paramount, he designed and demonstrated a prototype of the first simulator ride. He returned to the concept in 1985 and developed Tour of the Universe, which opened in Toronto and was the first simulator ride made available to the public. By inventing the genre and proving its viability, Trumbull opened the door to not only motion simulator rides, but all immersive, media-based attractions. Universal Studios Florida brought Trumbull in to direct the film and help develop its breakthrough motion simulator attraction, Back to the Future… The Ride, which opened in 1991. The ride was an instant hit and helped change the image and the fortunes of the problem-plagued park. The attraction, which was shot in 70mm and projected onto an Omnimax dome, also opened to great acclaim in Universal Studios Hollywood. Back to the Future… The Ride has since closed, and The Simpsons Ride has replaced it. In the mid-1990s, Trumbull and his Massachusetts-based company developed three attractions for the Luxor Hotel and Casino in Las Vegas. (This was during Sin City's ill-fated attempt to refashion itself as a family friendly destination.) The attractions told a linear story, but used three different techniques, including a motion simulator ride with a 48 frames-per-second film, a Showscan movie that masqueraded as a live presentation (which it more or less pulled off with its high frame rate trickery), and a "Theatre of the Future," which featured a large, vertical screen and a 48 frames-per-second VistaVision film. The attractions have since closed. He continues to blaze trails and push the envelopes of film and attraction technology at his Trumbull Studios. He examines and tweaks every variable in his pursuit of cinematic perfection. "If you want to convince the human nervous system that what it is seeing is real," Trumbull says, "you need all the resolution, all the brightness, all the frame rate, and everything you can possibly do to make it look like a window onto reality." To help make projected images brighter (a common problem with conventional movie theaters are their low-light conditions, which can render muddy images), he has focused on both the projectors and the screens. By using a Torus screen, which is equipped with vacuum technology and is curved, Trumbull is able to redirect the projected light back to the audience, thereby making the effective light even brighter. He has also designed a retinal display system that bypasses screens altogether and would send images directly to viewers' eyes. Other innovations include a zero-gravity crane that camera operators can effortlessly move. It is equipped with special sensors that track its movements and, when coupled with Trumbull's patented system, can reproduce a virtual background set in real time. But the most exciting development is Magi, Trumbull's latest effort at high frame rate technology. It incorporates 3D, 4K resolution, and 120 frames per second -- 120! -- to deliver an experience that comes remarkably close to his career-long goal of eliminating the distinction between media and reality. 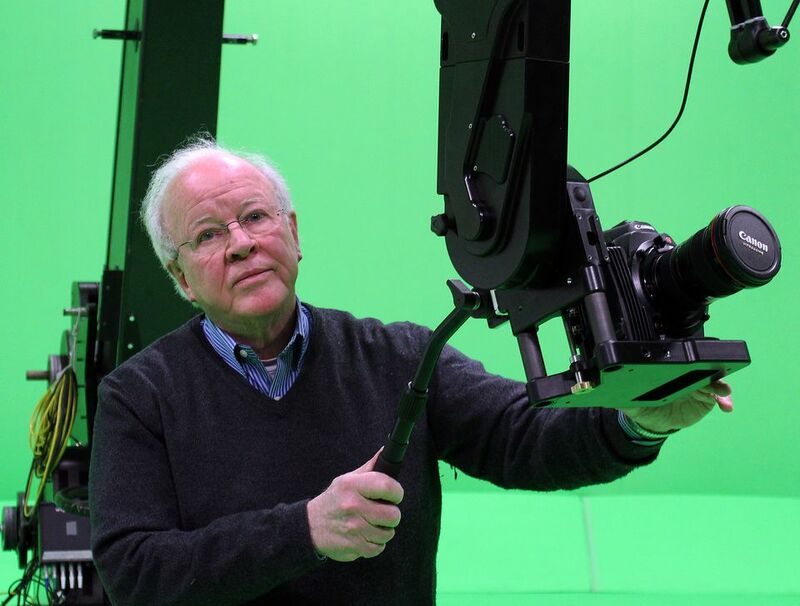 Trumbull hopes to license the technology to filmmakers and attraction designers. The weak link in media-based attractions is often the media itself. Experiences such as Universal's wonderful Harry Potter and the Forbidden Journey would be even more remarkable using the Magi process. Replacing its somewhat dark and grainy filmed sequences with hyper-realistic, high-frame-rate imagery would make the ride that much more immersive. Trumbull is also developing Magi Pods, prefabricated theaters that would showcase the new film technology. He hopes to sell the theaters to special venues, including theme parks. The theaters might feature park-specific content (such as Looney Tunes or Justice League media at Six Flags locations) or general-audience films produced by Trumbull. He also envisions special events such as Magi festivals that invite directors to showcase new films about extreme sports, music, or other genres. What the Heck Is a 4-D Movie? There Are 5-D and 6-D Films Too?